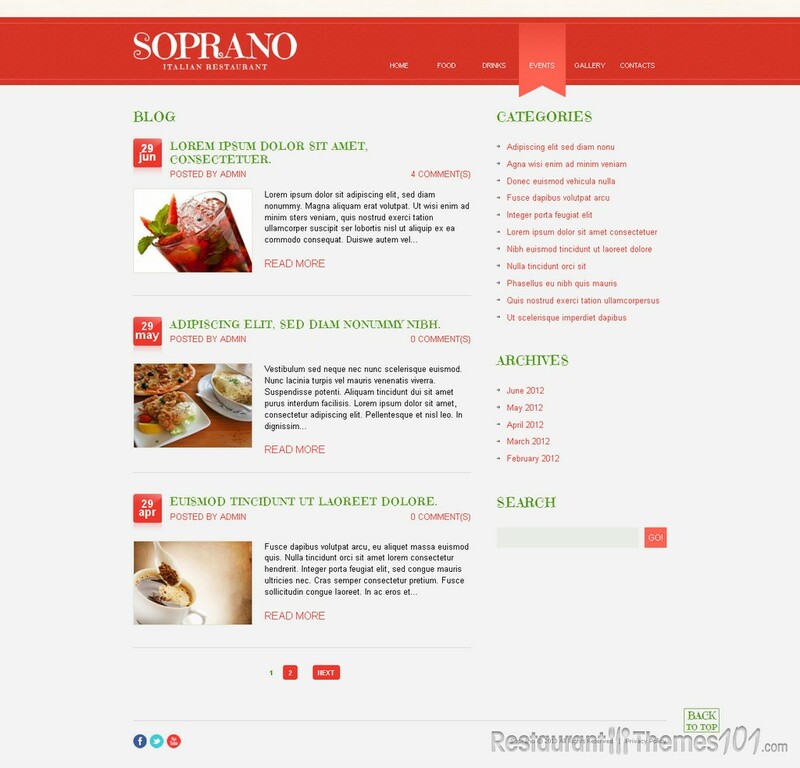 Soprano is a WordPress restaurant theme created by Oldman and featured on Template Monster. Soprano is a very simple theme with a great looking, colorful layout and a nice set of options. 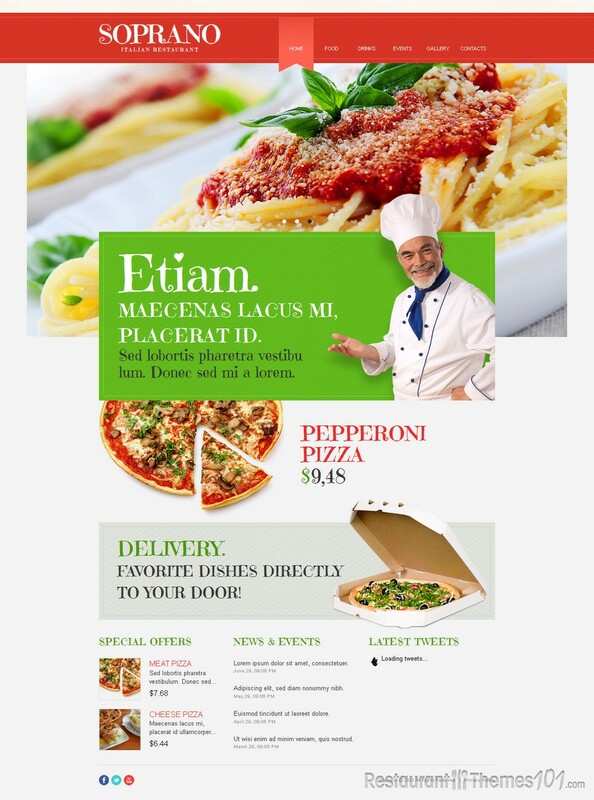 The homepage features a huge slider with different photos of mouthwatering, delicious food that is meant to grab the attention of your visitors and make them hungry for your delicacies the same second they open your website. 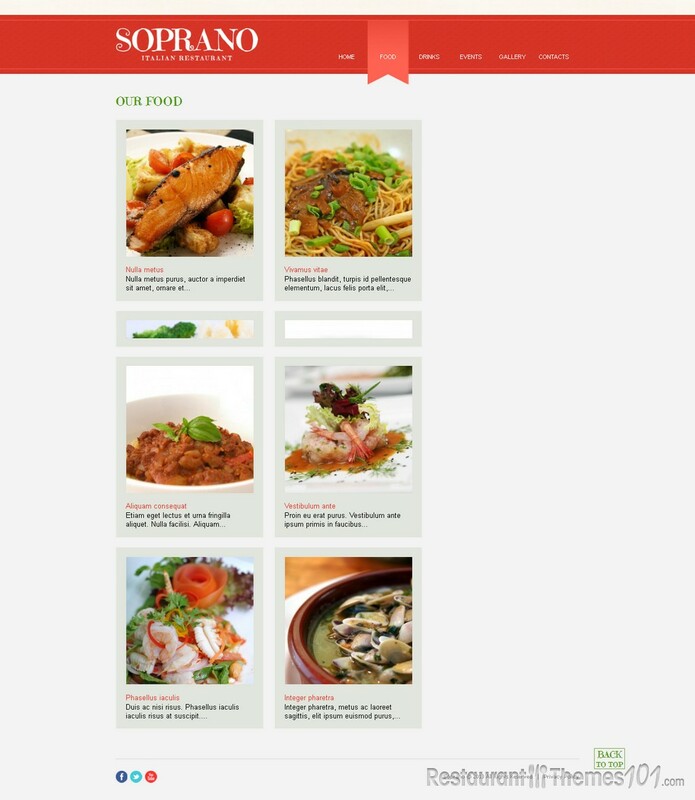 There are 6 sections in the main top menu: home, food, drinks, events, gallery and contacts. In the food section you can represent all of your fine dishes along with photos and detailed information on your meals, from preparation to origins, you can write as much as you want about your delicacies. The drinks menu is separated and here you can show your visitors what kind of appetizers you offer to them. The gallery section is very well put together. You get to choose out of 1, 2 and 3 gallery columns. Creating the galleries is very easy, and you can do so along with photos added. You can easily create events and present them to your visitors, and you can add details about the events with photos and exact dates. You can also present all recent news and events to your homepage, and by clicking on the event headline your visitors will be taken to a page where you can fully explain anything you want to, no matter if it’s an event or some innovation you have made for your restaurant. 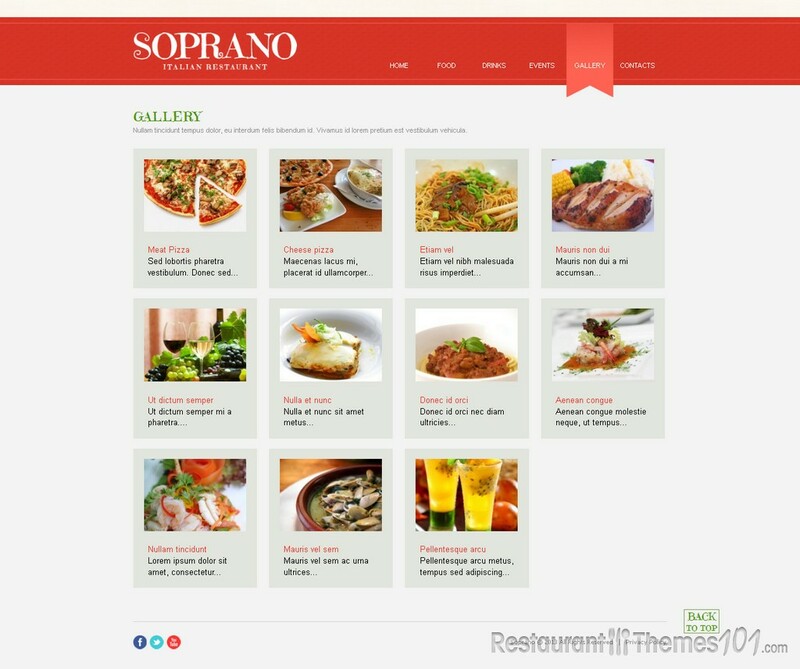 The Soprano theme features a nice admin panel, very easy to use, and this will be very helpful for running your website. Social integration is also great, you will be able to connect your website with Twitter, Facebook and YouTube. 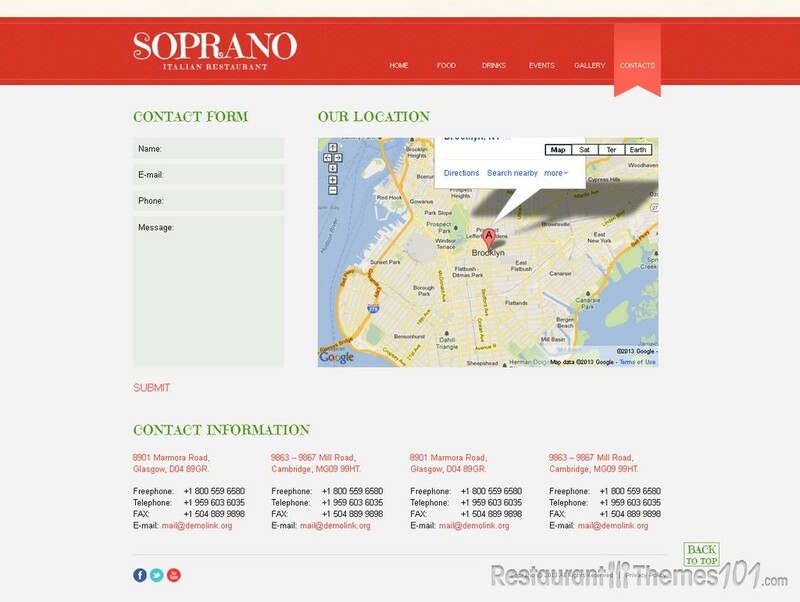 This theme features Google Maps integration which can be found in the contacts section, so you can be sure your visitors will easily find your restaurant in no time.